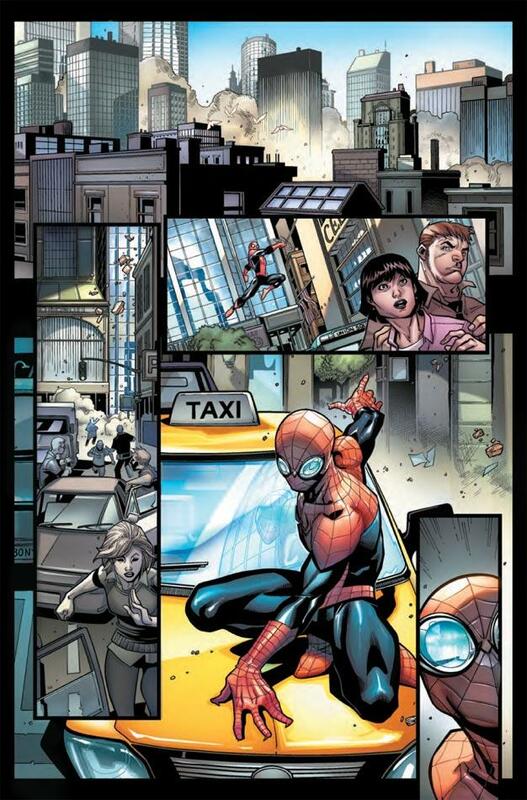 Marvel Comics and Newsarama have released the following four-page preview of next month's Avenging Spider-Man #16, featuring the newly-minted wall crawler teamed up with Wolverine and the X-Men. 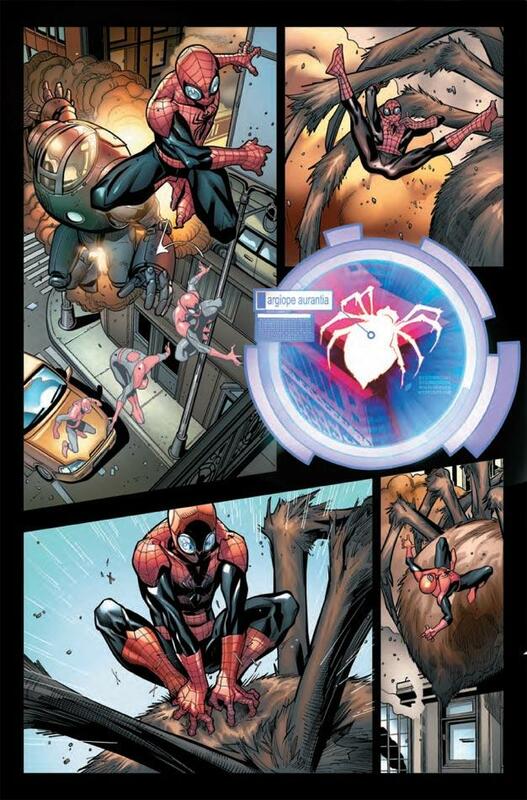 And, apparently, the Superior Spider-Man is still new enough that nobody's quite used to drawing him yet; Paolo Rivera's cover sees a Spidey without the "goggle enhancements" and the interior art by Paco Medina shows a belt and boots that look more like Peter Parker's than...well, you know. That other guy (we're trying not to spoil here for the first little while, without warnings at least). 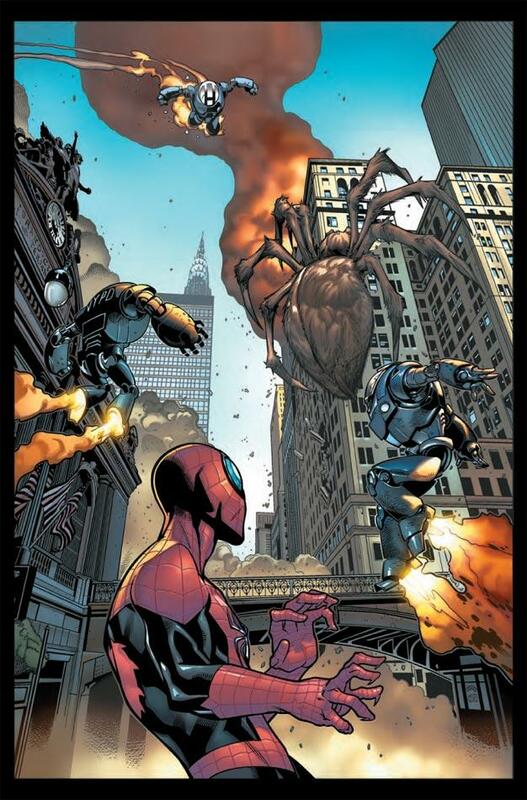 What the rest of the Marvel Universe will think of this new, more brutal Spider-Man has been a question that Marvel has been trying to put forth quite a bit, from artwork featuring the Avengers examining data on the character to his first team-up, with Peter's old friend Daredevil, which started last week before he was even fully in the role yet. How will the X-Men react to the new Spidey? It's hard to say--especially because who knows how many of them are still carrying a grudge against Avengers anyway following the events of Avengers vs. X-Men? Will they even notice? Most of the X-folks don't have a close, personal relationship with Spider-Man to begin with, and it's not as though they aren't used to costume changes...! The issue hits the stands in January. Check out the preview pages and Marvel's official text below. 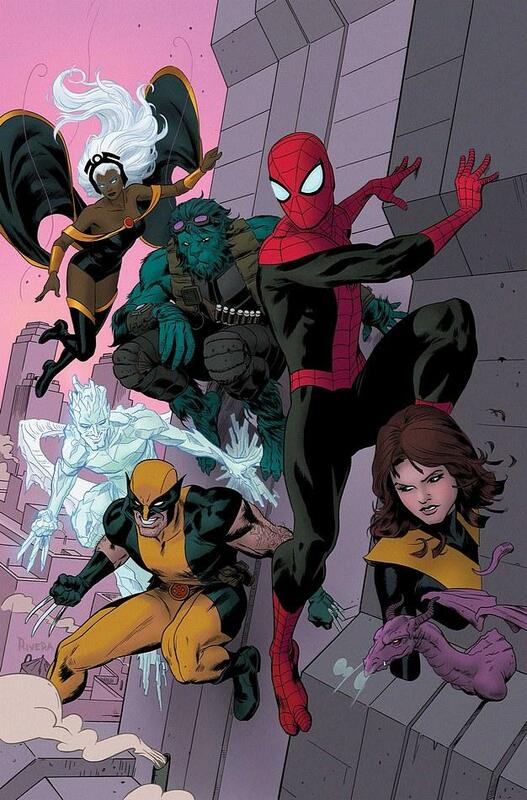 • The all new Superior Spider-Man teams with Wolverine and the X-Men! • Christopher Yost (Scarlet Spider, X-Force) and Paco Medina (Ultimate X-Men) begin a new SUPERIOR era of Avenging Spider-Man!